Growing peppers in the backyard garden can be frustrating. Even though peppers are not as prone to damage by insects as other plants like squash or eggplants, they are very finicky overall. Pepper plants frequently fall over if not staked, required near daily watering yet produce relatively little, and many varieties don't do well with hot temperatures. Peppers also wilt in during the height of the summer. Finally, almost all weeds grow faster than pepper plants, requiring you to constantly be looking out for soil invaders near your pepper plants. After a few years, especially in hot climates, gardeners decide it is not worth the effort and many stop attempting to grow these plants. This is a shame, especially as a new device makes it extremely easy to grow peppers. The device, called the Groasis Waterboxx PlantCocoon, or Waterboxx for short, collects dew and rain water, stores it, and then slowly releases it to the roots of a growing plant. It doesn't require electricity and, after set up, may not require any manual watering, especially for peppers. First, let's discuss bell peppers. These peppers are some of the most popular to grow because they are the most useful in the kitchen and most expensive at the store- frequently about $1 per pepper, even in season. However, these pepper plants will drop their blooms if daytime temperatures get about 90 degrees Fahrenheit consistently. The Waterboxx, however, stores water and keeps the base and roots of the plant cool, relieving some heat stress from this plant. It also provides consistent moisture and prevents any weeds from growing around the pepper. If you do live in an extremely hot climate (like the desert southwest), however, we would suggest 30% shade cloth over your pepper plants to prevent overheating. Two bell pepper plants in the height of the summer heat - with no water at all since planting, besides rainfall and dew. The Waterboxx not only waters these plants but blocks out any competing weeds. 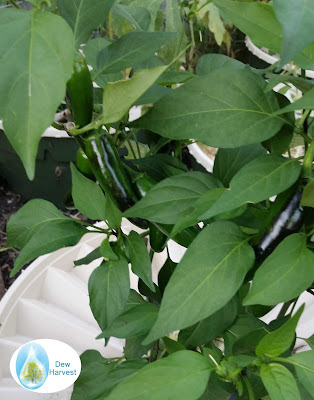 So, the Waterboxx can be used to grow bell peppers well. How about long peppers? Yes, the Waterboxx is especially well suited to these peppers. Below you can see long peppers thriving in the Waterboxx. These two plants, in one Waterboxx produced over 100 peppers, with no watering after planting. 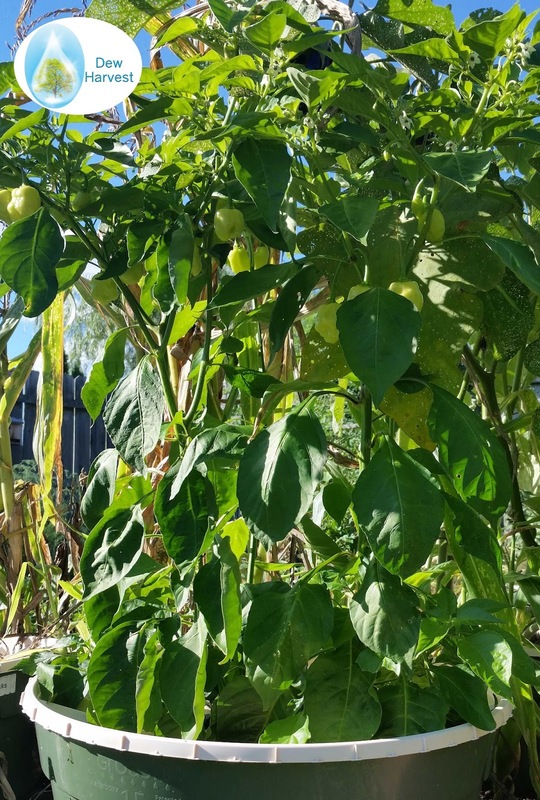 The Waterboxx growing long peppers - over 100 peppers from this plant without any watering after planting - a truly impressive feat! How about jalapenos? Will the Waterboxx help grow this delightful variety? Yes, with incredible yields, as well. 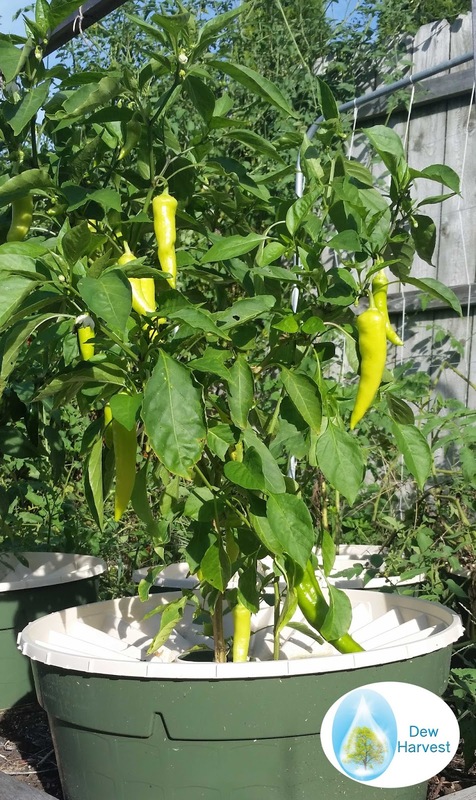 Two jalapeno plants in a single Waterboxx with no watering or care after planting grew over 80 peppers! Two jalapeno plants growing in a Waterboxx - produced over 80 peppers with no watering, no weeding, and no other care after planting. Finally, we come to the king of the hot peppers, the habanero. The Waterboxx also can be used to grow this pepper, with large yields and no work after planting. The Waterboxx growing two habanero pepper plants with yellow habaneros scattered through the upper leaves - no watering, weeding, fertilizing, muclching, or any other work since planting! 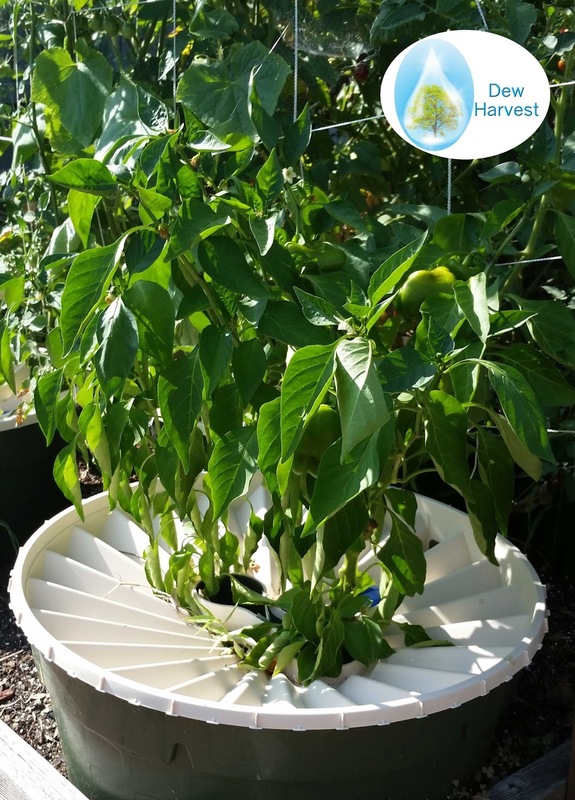 There has never been a device like the Waterboxx for growing peppers - it can completely eliminate the need for any watering after planting, completely eliminate weeding, eliminate mulching, and help produce high yields. It also encourages tall, straight plants with its unique figure 8 central opening.